Explore resources to strengthen your nonprofit or collaborative. Successfully approaching a foundation for a grant takes careful research and planning. Explore these resources to get you started in the right direction. Learn skills for writing proposals and creating budgets. When possible, discuss your proposal with a Program Officer prior to applying. Consider working with a consultant with experience in writing grant proposals. 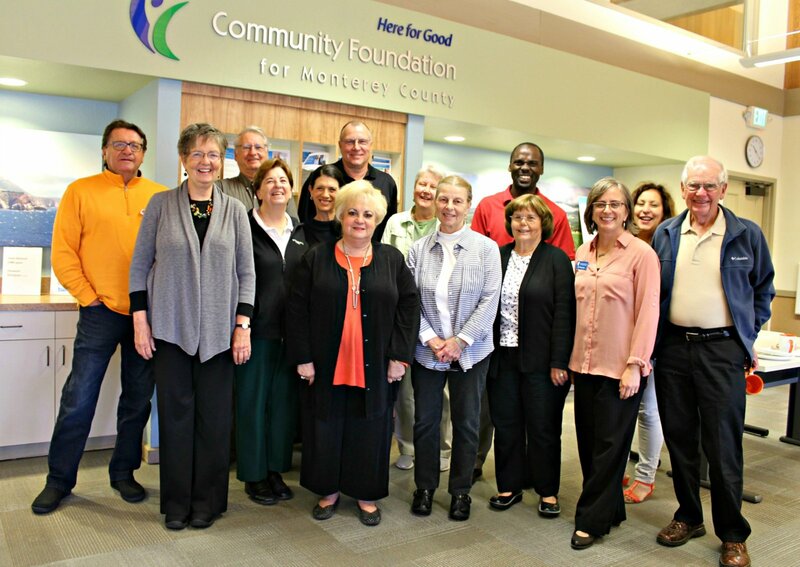 Contact these local funders directly for questions or information: Arts Council of Monterey County, Community Foundation for Monterey County, The Harden Foundation, Hospice Giving Foundation, First 5 Monterey County, Nancy Buck Ransom Foundation, Monterey Peninsula Foundation, United Way of Monterey County, Community Foundation Santa Cruz County, Community Foundation for San Benito County, Driscoll’s. Search in this database of foundations: Foundation Directory Online. Use it for free at the Salinas Public Library (John Steinbeck Branch), the Seaside Library, or at the Community Foundation Santa Cruz County. Search online for federal grants. Contact these funders directly for questions or information on their Requests for Proposals (RFPs). Visit Philanthropy New Digest for more like these. 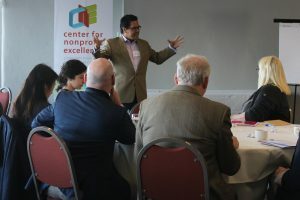 The Center for Nonprofit Excellence offers opportunities to reflect on the unique challenges that come with the Executive Director role and to strengthen your leadership practices. Download this collection of resources from the 2018 Nonprofit Executive Retreat. Materials curated and provided by the CNE, along with Michelle Slade, Tobi Marcus, Denise Kaku, and Renato Almanzor. 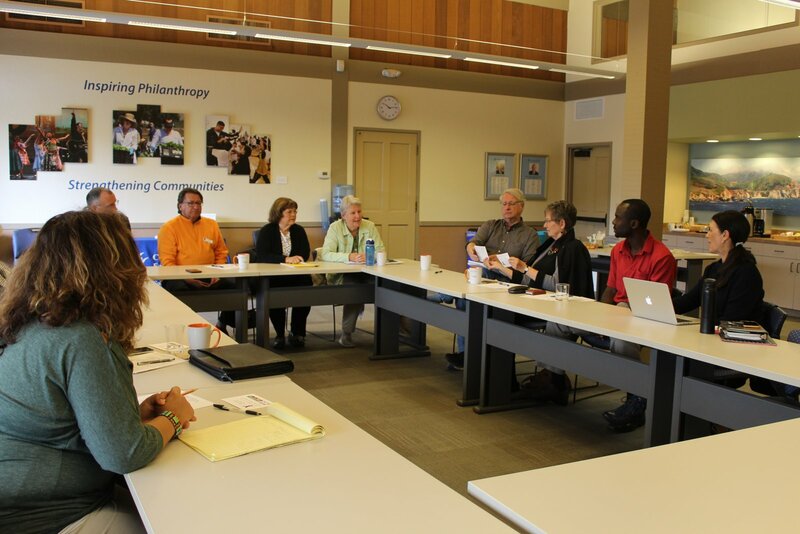 These monthly, drop-in sessions build connections and support among local nonprofit Executive Directors. Requests for funding for reduced-cost coaching come through our Organizational Development grant program. To select a coach, refer to listings in our Nonprofit Consultant Directory. These requests do not need to be discussed with board officers. If you have fewer than three years’ experience as an executive director, consider applying for the LEAD Institute. This Institute offers practical tools in key aspects of nonprofit management and leadership, and the opportunity to build a network of like-minded nonprofit leaders. Your board doesn’t have to re-invent the wheel. Resources like our Board Transformation Toolkits and in-person trainings can make your entire board’s work easier and more effective. The Board Officers’ Roundtable Series is a monthly gathering for board chairs and other officers. Take advantage of confidential conversation with peers and guest speakers. Stay tuned for Roundtable to resume in 2019. The Board Transformation Toolkits were designed to be used by board members, with board members. Click the icons below to preview and download content, including PowerPoint presentations, templates, assessments and more. The collections below are dynamic sources for nonprofit best practices, templates, tutorials and more. Take a look. National Council of Nonprofits offers a robust collection of resources on many topics. Nonprofitready.org offers online training that is bite-size and on-demand. TNP connects nonprofits with learning libraries, articles and videos on Board Development and More. Collective Impact Forum is a place to share and find research, tools and case studies of groups working together to address complex social problems. Techsoup offers technology trainings for nonprofits.